WEST LAFAYETTE, Ind. 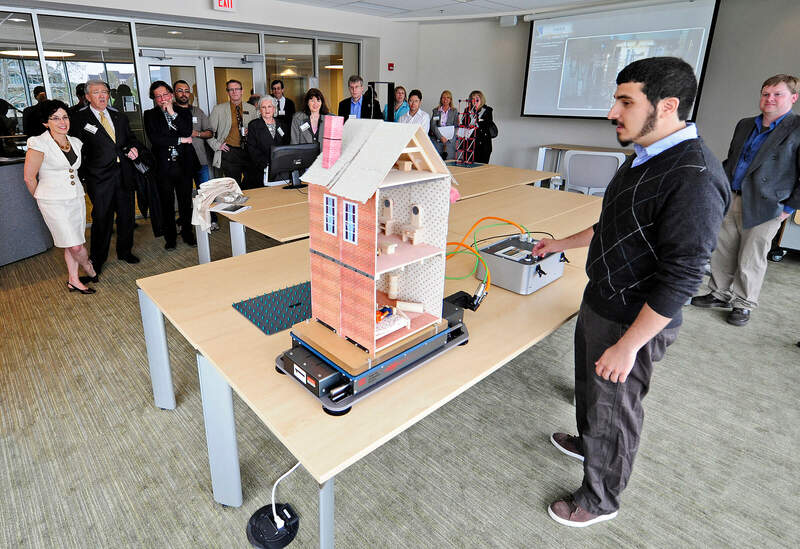 - The building that houses some of Purdue University's top research projects, including ones that focus on improving learning in science fields, treating cancer and protecting communities from earthquakes, was dedicated on Friday (April 16). "Because discovery and learning are interconnected, the innovative design of this new facility will serve as a foundation for advancing the frontiers of knowledge across a number of disciplines," Purdue President France A. Córdova said. "The physical structure of this building was designed so our learning spaces could continue to adapt to meet the global challenges of the 21st century." The Hall for Discovery and Learning Research is located at the corner of Nimitz and Martin Jischke drives. The hall, which was built at a cost of $25 million, was funded by gifts, the university's capital reserve for buildings and $4 million from the state. The lead gifts for the facility and its centers are from: Alfred E. Mann Foundation for Biomedical Engineering; Burton D. Morgan Foundation; Susan Bulkeley Butler, a 1965 Purdue alumna who served on the board of trustees from 2006-2009; Herman Miller Inc.; Lilly Endowment Inc.; Sally and Ken Mason, respectively, former Purdue provost and current president of the University of Iowa, and an educator and textbook author who teaches biological sciences at the University of Iowa; and OfficeWorks. Construction was completed last fall. The majority of the first two floors in the more than 91,000-square foot, four-story building are home to the Discovery Learning Research Center, which brings together experts in academia, industry and K-12 education to improve learning, especially in the science, technology, engineering and math fields. "We wanted to ensure that our scholars would have access to today's latest tools in education technology in this facility," said Richard O. Buckius, vice president for research. "But we didn't stop there. The flexible experimental spaces and reconfigurable spaces for data collection and collaboration were designed for future use and to adjust as researchers' needs change." Some of the facility highlights include an educational design laboratory for developing and testing instructional technologies. In this laboratory, researchers will be able to use resources to better understand how students learn. For example, a researcher might use equipment in the design lab for tracking eye movement in order to assess how students access information from computer-based applications. There also are two educational laboratories: a large project laboratory and a "wet science" laboratory where researchers can study learning associated with such diverse tasks as isolating proteins or building bridge models. The design of the project lab facilitates movement of small and large pieces of machinery in and out of the space while the science lab can be reconfigured for different types of experiments or teaching approaches. In addition to the Discovery Learning Research Center, The Alfred Mann Institute for Biomedical Development at Purdue is located on the first floor. 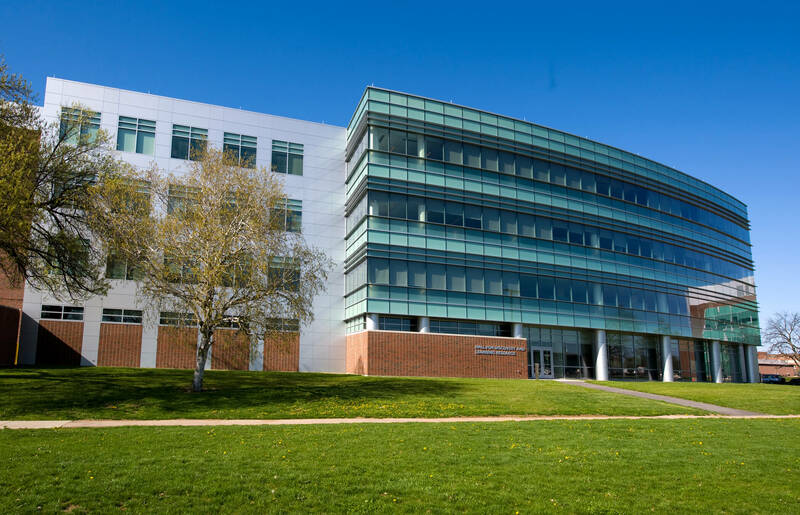 This center focuses on commercializing biomedical innovations for human health. ADVANCE-Purdue is located on the second floor. This center is developing new models for faculty recruitment, retention and advancement, with a focus on increasing numbers of women from underrepresented minority populations in science areas. * Susan Bulkeley Butler Center for Leadership Excellence. In this center, faculty and staff members provide research support, seminars and workshops to assist aspiring and experienced leaders. * Center for Analytical Instrumentation Development. This center brings together chemists, physicists, engineers, biologists and physicians to advance life science discoveries. * Healthcare Technical Assistance Program. This program uses the principles of engineering, management and science to help Indiana health-care providers enhance quality, safety and efficiency. * Network for Computational Nanotechnology. This is a collaboration of universities and research institutions developing sophisticated, high-powered computational tools for advancing nano-related research using desktop computers. * George E. Brown Jr. Network for Earthquake Engineering Simulation. This network, which is funded by the largest grant ever received by Purdue, seeks to reduce devastation and loss of life from earthquakes and tsunamis. The Hall for Discovery and Learning Research is part of Discovery Park, Purdue's $500 million interdisciplinary research complex for large-scale projects. The architects and contractors for the project are Purdue's Office of the Architect, BSA LifeStructures of Indianapolis and Kettelhut Construction Inc. of Lafayette.